Scary Monsters magazine #28 - Enormous Twenty-Eighth Issue! 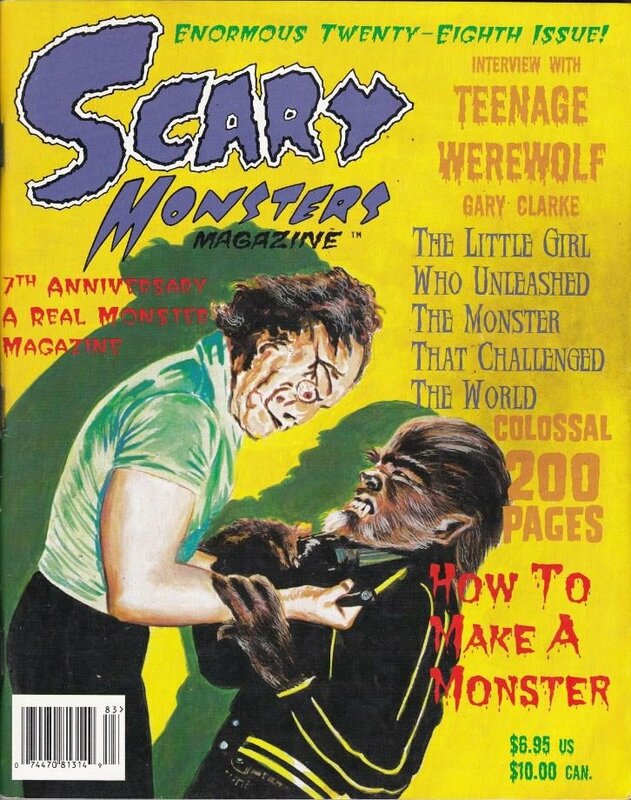 MyMovieMonsters.com > Scary Monsters Magazine > Scary Monsters 1-100 > Scary Monsters magazine #28 - Enormous Twenty-Eighth Issue! This is the Enormous Twenty-Eighth issue of Scary Monsters, published in September 1998. Each copy is new, uncirculated and picked directly from the printer's shipping carton. Celebrating the 7th Anniversary of A Real Monster Magazine! Two-color cover and 198 B&W pulp inside pages.